The past year has seen your Association strengthen its reputation with the staging of its two major awards events, while forging stronger relationships with sporting bodies, innovating with new events and providing ever more services and benefits for our growing membership. But without doubt, while 2012 would in any case have provided the SJA with unique challenges, the coming 12 months will prove vital for the Association since we face an uncertain financial future without, for the first time in many years, any title sponsorship. Such is our relationship with UK Sport that we are still able to stage our annual meeting at the offices of our erstwhile sponsors. However, the SJA is not immune to the impact of the global economic crisis or cut-backs in government funding. 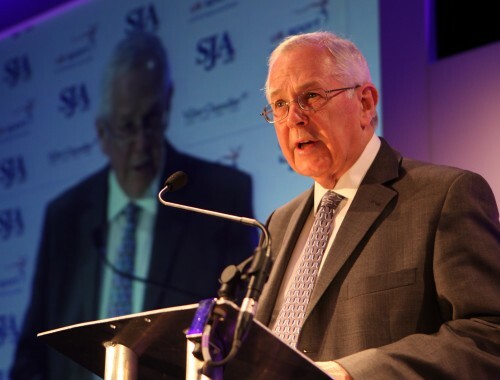 So, after eight happy years, last month saw UK Sport reluctantly end its support of the SJA after eight very productive years and a relationship with the sports councils in their various guises that dates back to the 1970s. It was made plain to us that UK Sport had to curtail its sponsorship of the SJA because of rules on advertising and marketing passed by the new Coalition Government, and not because the agency wanted to reduce its work with our Association’s members in a year which will see the culmination of years of development. It is a frustrating state of affairs. Without doubt, thanks to the hard work of our awards sub-committee and partners Start2Finish with Petta Naylor and Martin Castle, our 62nd annual British Sports Awards, staged in December, were acclaimed as the best yet. This was thanks in no small part to the attendance of dozens of the nation’s top sports stars, including our Sportsman, Sportswoman and Team of the Year recipients AP McCoy, Jessica Ennis and Colin Montgomerie. When we marked Tony McCoy’s card that he might be needed at the awards lunch, he said simply that he would not be available because he was racing at Leicester that day. But the SJA had a stroke of luck. The heavy snows of last November and December saw Leicester races frozen off and McCoy duly turned up in the City of London to prove a most gracious as well as deserving recipient of the oldest sports award in this country. After much hard work by our chairmen of judges, Jon Ryan and David Jacobs, our British Sports Journalism Awards dinner last month was acclaimed, with nearly 400 colleagues enjoying a gala evening at The Brewery. Our thanks go to David Jacobs, who is standing down after two years as chairman of the photography awards, with a past Sports Photographer of the Year, Mike King, taking over. Part of this success has been because we are working ever closer with the sports editors. 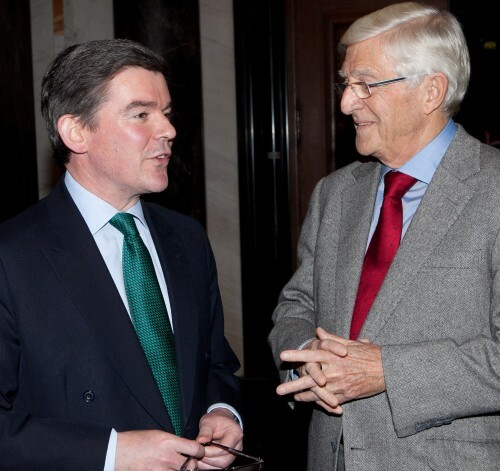 One, the Sunday Mirror’s David Walker, my deputy chairman, together with Keir Radnedge, is also negotiating with the FA Premier League to try to resolve issues over the FAPL media licence which should see the SJA involved at the core of accreditation issues in football in the future. This carries with it some responsibility, and we are now scrutinising applications for membership more closely than ever before, as more people seek to call themselves “sports journalists”, however tenuous their claims. 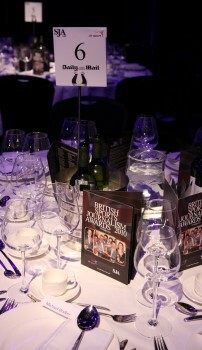 I have worked with the British Olympic Association in talks about accreditations for 2012. There is no doubt that the BOA did not manage to secure an appropriate volume of British media places for the London Games: once those earmarked for PA were taken out, just 200 places were available for the 2,000 applications. We continue to work with the BOA at ways to improve a less-than-ideal situation. Aware of financial issues, last year we tightened up our subscription payment rules, which has worked very successfully in regularising a vital income source for the Association, but facing increasing print, paper and postage costs, we have abandoned publication of the SJA Bulletin. 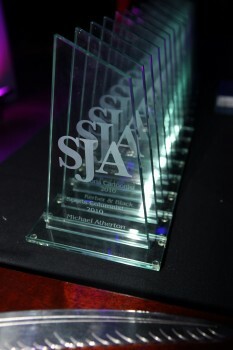 This would not have been possible five years ago, but with the SJA’s website regularly scooping the nationals with its journalism news coverage, and with members receiving emails at least twice every month, your committee believes that our members are now better informed of the SJA’s activities than at any point in our history. The website was redesigned and underwent a major update last year, the costs of which have already been more than recouped through advertising sold on the site. The relevancy of the SJA comes from its membership, and we now have 50 per cent more members than we did just five years ago. In the past year, these members have benefited from discounted charges to attend another set of headline-making sports lunches, organised for us by Mary Fitzhenry; they have been able to enjoy two great Golf Days staged by Paul Trow; and some attended a Cricket Day staged, inevitably, in constant drizzle. In 2010 and 2011, working with LOCOG, we have had staged further tours for members in the Olympic Park. Our next visits will, surely, be on foot, as we walk between the Media Centre and the various sports venues. Last year, thanks to input from the Telegraph’s Head of Sport and committee member Ben Clissitt, we staged a new event with a Sporting Question Time attended by the three political parties’ sports spokesmen. Last week, we further developed that concept, with your Secretary, Steven Downes, producing an Olympic-themed debate attended by nearly 200 at London’s County Hall as part of the SportAccord convention. That event made a modest profit, and the Association has already been approached by another conference organiser to reproduce the format at their event. At the business end of the SJA, my thanks go to Secretary Steven Downes and Treasurer Randall Northam for their endeavours on our behalf. I also thank David Welch, who is standing down after several years as chairman of the awards sub-committee, and Stuart Robinson, our former deputy chairman, who has been a reliable source of advice and insight on photography and other issues, but is also stepping down. Pressures of work as online sports editor of The Sun has persuaded Jim Munro to step down from the committee, too, and we thank him for his valuable input over the past four years. With Philip Barker having won election to the committee of UEPS, and with the likes of former chairman Ian Cole helping in a range of SJA activities, we have the core of a very strong committee team, and if this meeting agrees by voting them in today, the addition of the likes of Stuart Higgins, Howard Wheatcroft and Janine Self will reinforce that. Your SJA committee’s challenge is to maintain or improve our standards in all of our activities. We can only do that with the help of all our members – whether by recruiting new members, or sourcing new sponsors, as we seek to build a new financial base with some urgency.